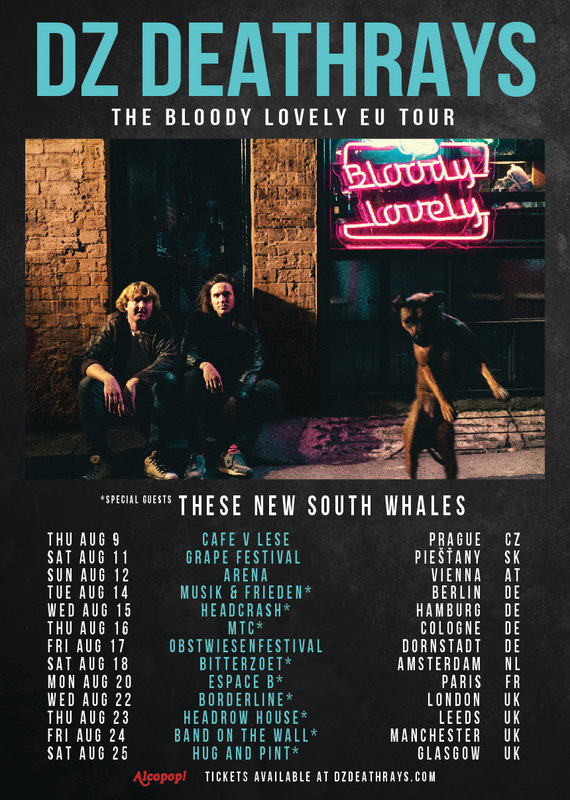 These New South Whales head out on tour around the UK this month with DZ Deathrays. The band had a chat with us about ringing ears and smelling good while on the road. Are you excited about the tour? What is the best bits you look forward to when hitting the road? We are so excited about this tour! It's going to be our first time playing outside of Australia. We'll be playing in some cities we have never even been to. I love the feeling of not being able to catch your breath or familiarise yourself with your surroundings for any great deal of time. Fresh clothes. We love to look good and smell good. We ain't no stinky rock-dog band boys ok? Yuck. At our last show on the Gold Coast there were a lot of men who wanted to fight me. They seemed very upset. I'm not a fighter so it got my heart rate going. I enjoyed it for the same reason I enjoy horror movies hehe. Ringing ears when trying to sleep. When we tour in Australia it's so big that we have to fly everywhere so we will have to get back to you on that! It's all new in the UK / EU baby! We will be playing mostly stuff from our debut record 'You Work For Us' and a couple of new tasty surprises. Probably Marilyn Manson 'cos he gets it! These New South Whales head out on tour this month with DZ Deathrays, their debut album 'You Work For Us' is out now.